The name “Akron” comes from a Greek word meaning an elevation or high point. Nineteenth-century settlers chose this name for a new Ohio town due to its elevated location and superior placement along the Little Cuyahoga River. 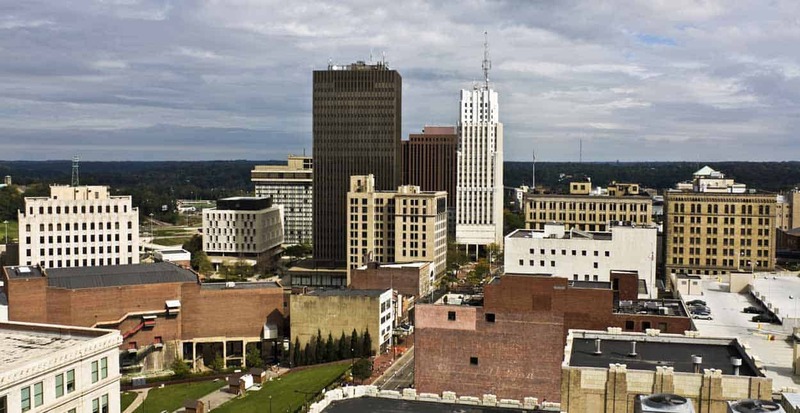 Akron’s Founders Simon Perkins and Paul Williams intended the town to be the pinnacle of civilization in Ohio, and today it has reached new heights with an estimated population of 197,000 people in the city proper and over 700,000 people in the Greater Akron area. Just living in Akron, however, doesn’t mean you’re always at your highest high. Singles without a date on Saturday night can feel pretty low. We want to help lift these singles up by recommending the top nine ways to meet new people in Akron. Let’s get to it! 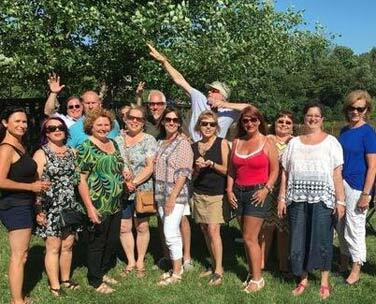 It doesn’t matter where you live, the best way to meet singles is always the same. It’s online dating. Millions of singles have used dating sites to form friendships, find dates, and build relationships based on mutual attraction. There’s a niche dating site for just about anything these days, so you can more easily network with singles who are exactly your type. Since 1995, Match has used a curated matching algorithm to connect singles online. We view Match as the overall best dating site due to its easy-to-understand tools, diverse membership base, and successful track record. No other dating site has been around as long or is as well-known worldwide. EliteSingles is a high-end dating site that appeals to ambitious and serious daters in Akron’s prosperous neighborhoods. This dating site makes a love connection every seven minutes, so singles in Akron should have no trouble finding a match with relationship potential. Once you reach a certain age, dating can become challenging. Meeting someone who’s single and in your age bracket seems to only get harder the older you get. However, a niche dating site called OurTime has endeavored to make things easier on the senior dating population. This site caters to active daters over 50 with its simple search features and real-time messaging. African-Americans are the second largest racial demographic in Akron, but they still only account for 31.5% of the overall population. If you need help dating within this minority population, you can use BlackPeopleMeet for free. This site boasts having the largest community of black and biracial singles in the United States. Do you prefer the fast lane of the Akron Innerbelt and the dating scene? Then you should cruise over to Adult Friend Finder to get your love life into gear. This hookup site allows its 95 million users to speed their way from flirty messaging to sexual encounters. From Maple Valley to Goodyear Heights, Akron has a total area of 62.37 square miles. That’s a lot of ground for singles to cover in search of a date. Fortunately, the location-based matching tools on a dating app can save you from scouring 21 neighborhoods on your own. You can use the following mobile-friendly dating apps to pinpoint compatible singles in your area. Before smartphones, online dating, and the internet changed how we build relationships, the local bar scene was one of the most popular dating venues for outgoing singles. Honestly, it’s still pretty popular. You don’t have to fill out a form or entice a mutual match before starting a conversation here. Anyone can make an approach, and you have the ability to look someone in the eye while you build a relationship. 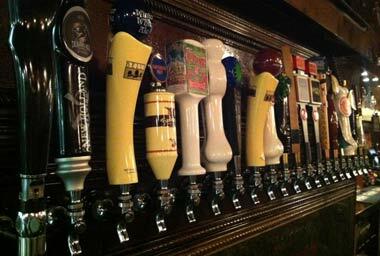 Singles can stop by the following local watering holes to meet people and land dates. 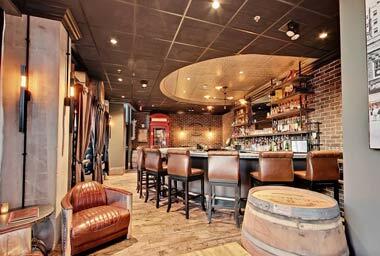 Baxter's is a relaxed neighborhood bar where people can sit, drink, and just be. The bar prides itself on having "drinks for everyone," meaning you can find just about anything you like on this menu. Wine Wednesday is a popular day at Baxter's because the bar serves half-priced bottles and glasses of wine all day. You can also find trivia, karaoke, and game-day parties at Baxter's. The kitchen stays open until midnight on Fridays and Saturdays (10 p.m. during the week), so you can enjoy late-night snacks while getting your drink on. 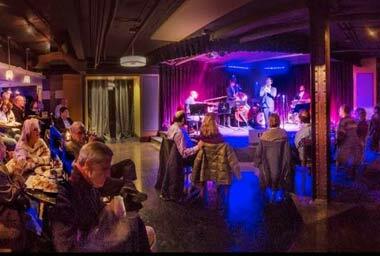 BLU Jazz+ is a laid-back jazz club where singles sway to sultry tunes. This hip joint may be known for its live performances, but its signature cocktails will knock your socks off as well. You can watch a talented pianist tickle the ivories while savoring a handcrafted cocktail or Southern comfort food. Executive Chef Nathan Kelly and his team have transformed BLU Jazz+ from a speakeasy to a culinary destination, so you should definitely come hungry and order a BLU Plate. After all, no one can feel blue with a bowl of gumbo in front of them. Northside Speakeasy has made a name for itself by serving handcrafted cocktails inspired by the Roaring Twenties. This sophisticated lounge and bar is located on the ground floor of a hotel in downtown Akron, but the decor makes it feel like a hole-in-the-wall, under-the-radar speakeasy. The bar has a 4.8-star rating on Facebook, and a 4.7-star rating on Google, so it must be doing something right. 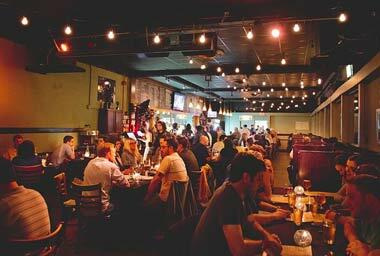 Many patrons praise the knowledgeable bartenders, cool atmosphere, inventive cocktails, and extensive liquor selection. South Point Tavern doesn't have a food menu, but its drinks menu offers more than enough flavor combinations to satisfy patrons. 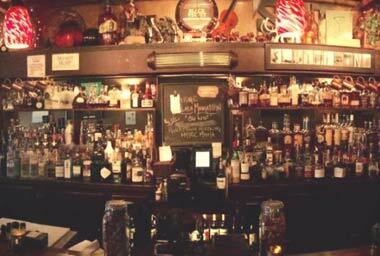 Whether you're in the mood for beer, wine, cocktails, or a smooth glass of bourbon, you have a large selection to choose from here. The bar stays open until 1 a.m. on Friday and Saturday nights, and it often attracts a large crowd of locals. This charming bar in the Green serves a mean martini using fresh fruits and high-quality liquors, and every Monday night martinis are $6 until 9 p.m. The Lockview isn't just a bar; it's a gourmet grilled cheese restaurant and bar. What's a gourmet grilled cheese sandwich, you ask? It's two slices of ciabatta bread stuffed with gooey cheese and other savory ingredients, including ham, pepperoni, arugula, apples, caramelized onions, grilled pineapple, roasted peppers, and even homemade macaroni and cheese. Since 2008, the Lockview has been tantalizing the taste buds with these signature treats that come decorated with little umbrellas. During warm evenings, you can hang out on the rooftop patio sipping an American craft or imported beer. In a hurry to meet someone and skip ahead to the happily-ever-after part? Then a speed dating event is your best bet. You can meet dozens of date prospects during the course of the evening and then pursue the ones who stand out to you. Most speed dating organizers structure their events so participants form mutual matches with people who are about the same age or come from similar backgrounds. You can look on Eventbrite’s calendar to find speed dating events in Akron or the surrounding area and kick your love life into gear. I’m a big believer in singles events and meetups. They’re fun, they’re casual, and they’re generally a stress-free way to meet people who share your interests. Whether you’re a movie buff, yoga enthusiast, dog lover, or gamer, you can build strong and lasting relationships in a group of like-minded folks. Some groups organize big parties around holidays while others engage in weekly or monthly meetings at bookstores or coffee shops. You can search Meetup to find a group that appeals to you. Akron may appear to be the epitome of quiet suburbia during the day, but everything changes at night. 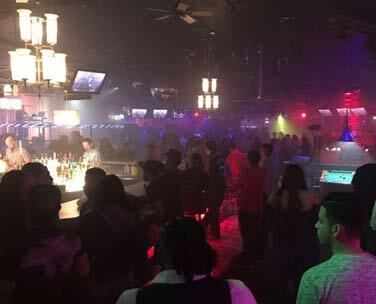 The city has its fair share of wild nightclubs full of energetic and youthful people. The club offers singles a chance to leave their everyday cares behind and enjoy a night of revelry on the dance floor. You can use this carefree atmosphere to sidle up to a new crush and create an intimate connection without having to say a word. Not everyone is comfortable starting conversations at bars, clubs, and other public spaces. Sometimes daters can get tongue-tied trying to be funny, smart, and impressive in person, and the awkward silences can throw them off their game. If you want to avoid all that, you can use singles chat rooms to find your footing and build a relationship in a non-threatening environment. Instead of being put on the spot, you can take your time and think about how you want to word your messages. This helps singles keep cool when wooing hot dates and build solid conversational skills while they’re at it. Online dating personals are basically no-muss, no-fuss dating sites for singles who want to find their own pathway to romance. You don’t have to jump through any hoops to create a profile (they call this a personal ad) here. Just submit your name, age, location, and what you’re looking for, and you’re done. You don’t even have to use a photo if you don’t want to — but profiles with photos inevitably receive more attention than those without. Joining a dating personals site is quick, easy, and free, so click the links below to get started. A sporting event can bring people together with every touchdown, home run, basket, and goal. Akron has a handful of professional sports teams worth cheering on. The city’s most popular team by far is the Akron Zips football team. The average attendance for football games in the InfoCision Stadium is 18,000+ people. Akron RubberDucks fans are an enthusiastic and rowdy crowd. 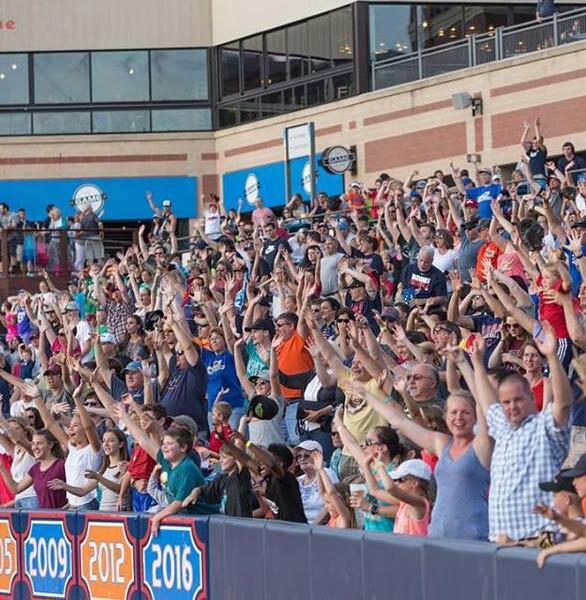 The Akron RubberDucks also have a special place in the hearts of local fans. The name references the city’s reputation as the Rubber Capital of the World, and it gives people an excuse to wear orange and quack at each other. Over 61,000 people are fans of the RubberDucks on Facebook, and you can join this fun-loving community simply by showing up to a game. Football and baseball aren’t your only options to get in the action. Every year since 1934, Akron has hosted the All-American Soap Box Derby in July at Derby Downs. Over 500 racers test their mettle at this world championship. The races last less than a minute each, and crowds of people line the streets to see the exciting heats. Whether you’re yelling up a storm at a game or ordering a round of drinks at a sports bar, you can make great friendships as you root for your favorite Akron team. And who knows? You may become a fan of someone special in the crowd. Akron’s founders chose a promising summit to shelter and grow a community in Northern Ohio. They chose this spot with the future in mind, and its ideal placement has led to great prosperity, innovation, and wealth. Whether you’re seeking a date or founding a city, you have to choose the right spot to start your journey and set yourself up for success. That’s what our list of ways to meet people is for — any of these resources can help singles surpass their dating expectations and ascend into the relationship they desire. You can be at the top of your dating game by taking advantage of all Akron has to offer. You have plenty of options, so all you have to do is choose what’s right for your dating style and relationship goals. Good luck!